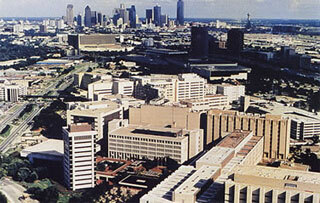 Profile: UT Southwestern is located on a 231-acre campus just north of downtown Dallas that incorporates UT Southwestern's schools of medicine, biomedical sciences, and health professions as well as five hospitals, including: Parkland Memorial Hospital, Children's Medical Center, University Medical Centre Brackenridge, Zale Lipshy University Hospital, and St Paul University Hospital, as well as the Aston Ambulatory Care Center. Services: DataCom Design provided design for the relocation of the Data Center and the campus-wide communications connectivity. We worked closely with the Medical Center's IT staff and the civil engineer to design a high-bandwidth routing system that will support future hospital expansions.